The conversation around the cloud has been booming of late, with the topic showing up everywhere from IT back offices to Fortune 500 C-Suites. Despite cloud’s ubiquity, it remains a somewhat abstract concept for many users, a lot of whom don’t understand that there isn’t just one single cloud – and, for that matter, that not all clouds are created equal. 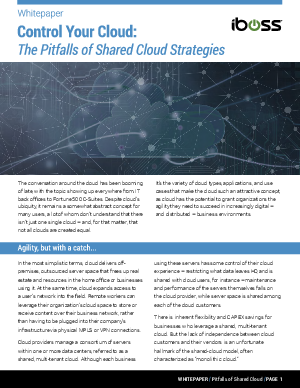 It’s the variety of cloud types, applications, and use cases that make the cloud such an attractive concept, as cloud has the potential to grant organizations the agility they need to succeed in increasingly digital – and distributed – business environments.